Amazon's Choice for "tlm 102"
Sold by Liquid Audio Inc and ships from Amazon Fulfillment. 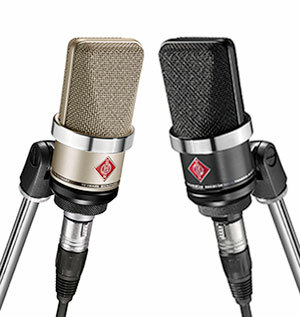 The TLM 102 defines a new generation of Neumann studio microphone. 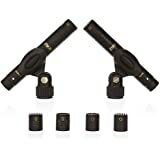 It sets a new performance and value standard for microphones at this price. 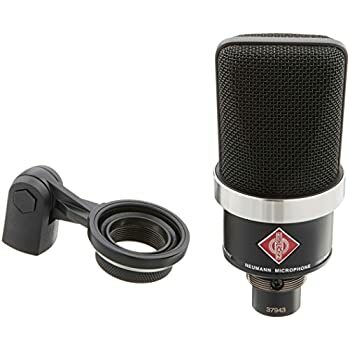 It's reduced overall size contributes to an exceptionally compact appearance, which unites all of the typical design components of a Neumann microphone. The harmonious proportions and gleaming grille ring ensure that even at first glance, the TLM 102 attracts attention. The TLM 102 delivers impressive sound. It's newly developed large-diaphragm capsule (cardioid) clocks a maximum sound pressure level of 144 dB, permiting the recording of percussion, drums, and amps at extremely high output levels. Acoustic instruments benefit from the exceptionally fast transient response of the TLM 102. Where the TLM102 really shines is with vocals and speech. It has a slight boost above 6 kHz providing excellent vocal presence in an overall mix. Up to 6 kHz the frequency response is extremely linear, ensuring minimal coloration and a clearly defined, extended bass range. The capsule has an elastic suspension system reducing handling and structure-borne noise. A pop screen integrated into the grille serves to suppress plosives in vocal and speech recording. Due to its price and flexible field of application, the TLM 102 is ideal for home recording and project studio, as well the broadcasting area, especially when clear lines of sight to the speakers are a priority. 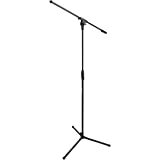 The TLM 102 is available in black and nickel; a stand mount is included. 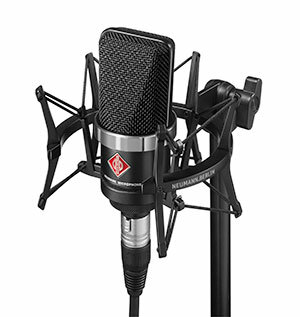 The Neumann TLM 102 is a compact, large-diaphragm studio microphone that offers legendary Neumann sound at an affordable price. It boasts a maximum sound pressure level of 144 dB, which permits the recording of percussion, drums, amps and other very loud sound sources. Quieter instruments also benefit from the TLM 102’s very fast transient response. And when it comes to vocals and speech, the TLM 102 really shines: a slight boost above 6 kHz provides for excellent presence of the voice in the overall mix. Up to 6 kHz, the frequency response is extremely linear, ensuring minimal coloration and a clearly defined bass range. I am a serious audiophile. I have a great audio setup and have been hand building tube amps for audio and guitar since the 1980s. My main monitors are some amazing (and expensive) Bowers and Wilkins floor standers - stunning they are. I consider my taste on the consumption side of audio to be extremely high. However, on the creation side it is just a casual hobby of recording: spoken word, poetry, occasional music and nature/etc. For fun, not money. So while I have excellent playback gear, my creation gear in the past has just been rather OK. That is my frame of reference for you. 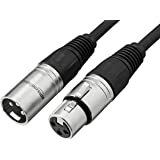 I have been using a Behringer B2 Pro as my main condenser microphone for some time now. It is an economical and great product. 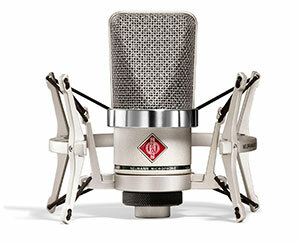 However, I have always wanted a Neumann as part of my "I want the best audio experience" personality. I could never justify a 47/67/87/89 based on my needs even though my geek inside wants one. So I have been fascinated with this rather affordable TLM 102 for some time. Finally, the reviews and online audio samples got me and I bought one. First thought, '@#$% it is small'. It really is. It more of a medium size condenser compared to my B2 and other cheap condensers. On the physical enclosure and capsule size. That is cool though, as it is super portable and flexible on location. On comparing the audio quality: the lack of the upper treble boost is immediately evident. You cannot miss it. I think if you want a truly general purpose mic, this will be immediately invaluable. If you just want a vocal mic, you may prefer the bump (look at the 103). 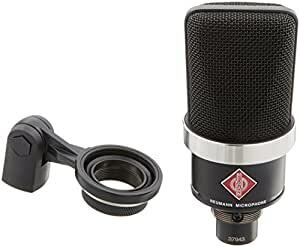 Audio quality vs. the cheap condenser mics: OK this one is hard... there is less of difference than I had expected, yet the ball is clearly in the Neumann camp for being the best. No matter what I record, it's just slightly less sibilant, slightly less vampire drained in the mids with the false bass and treble boost. It's just better in every way your brain can come up with. 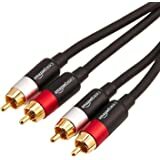 The gotcha is, it is really rather minor, and it also proves that the reputable, economical mics present an enormous value for the casual/beginner audio enthusiast. As such, I can only rate this mic as truly 5 stars; delivering everything it promises. But I really want to tell the readers, if your budget is indeed limited, some of the cheap condensers offer you 90% of the experience at a fraction, *literally* a fraction of the cost. Either way you go to me is a win; based on your own needs. It's remarkable we do have this much choice in gear. Happy recording. 5.0 out of 5 starsGlad I took the chance! This mic is amazing! 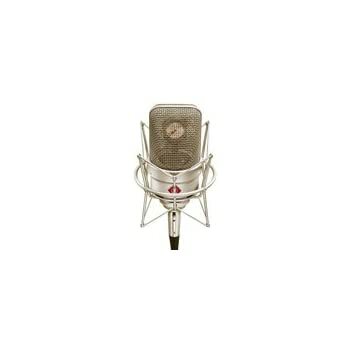 The raw rap and r&b vocals that come out of this mic are phenomenal! I was a little hesitant at first because, I mean come on, who has an extra $700 laying around. Plus, I'm only working with a Focusrite 2i2 interface plugged directly in my Mac so I wasn't sure if was going to allow this mic to put out it's full potential. 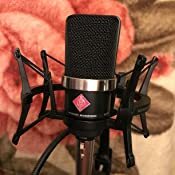 Once I got it connected and did my first recording I was amazed, you truly get what you pay for. Even without proper soundproofing this mic put out great vocals. It does, like most reviews say, give your voice a little bass and just the right amount of presence so expect to do a little compression and equalizing. However, I found that on some songs I've recorded the slight bass boost on your vocal fits just right. The size of it is small but this thing does pack a punch and gives you a near industry standard sound. If you have the money, I say go for it because you won't be disappointed with your investment! By the way, I'm not a known youtuber but I will be uploading a video soon that will provide sound examples. Check it out if your still unsure about getting it, give me a couple weeks to build the video and upload. 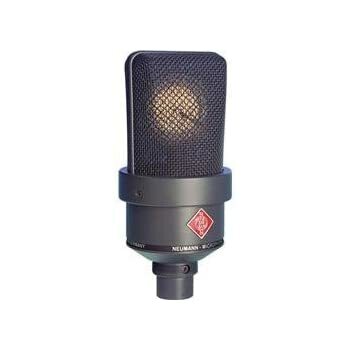 During a weak moment I clicked on Amazon's magic button and a week later found a Neumann TLM 102 MT on my doorstep. After an initial test recording, I knew I had hit on something good. Since then I’ve recorded classical guitar and ukulele with the 102 for months in my home studio and found it accurate, responsive, tonally balanced but significantly warmer than my KM184. Neumann specs indicate a slight presence peak at 6KHz but, to my ears, is significantly less pronounced than the KM184 presence boost. Although 102 mids are warm and sweet, higher pitches like artificial and natural harmonics still have plenty of sparkle and air. In fact, for natural classical guitar and ukulele tone, the 102 sounds perfect flat, i.e., no EQ or other post processing required. A touch of reverb and I'm done. Signal output is strong enough for soft instruments, so no need to crank gain. While the before mentioned may not seem like a big deal to most musicians, finger-picked instruments like the classical guitar are relatively soft and many mics fall short, requiring the gain sliders to be buried just to twitch the meters! Plus, the ultra low noise of the 102 allow delicate tones like harmonics to shine in the track without a hint of background noise. 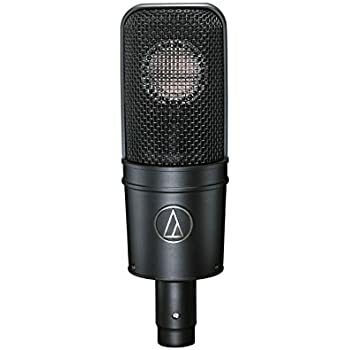 Finally, in a pinch, the 102 makes a great stage mic for acoustic and classical guitar. 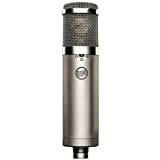 Unlike many recording mics, the 102 is small (5"/116mm length), robust and has plenty of output. Bring your own clip as the 102 won't fit most stage mic clips. I'm extremely pleased with my of Neumann MTL 102 MT: impeccable fit and finish, sweet, natural and balanced sound and clean output. For recording classical guitar and ukulele, the 102 is my new favorite. Now I need to buy another one so I can record stereo! 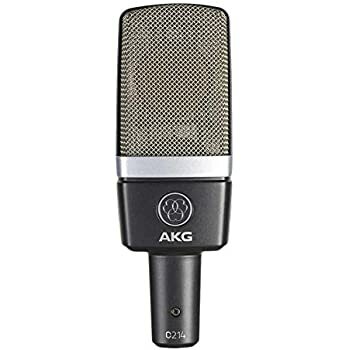 This mic has a good, rich sound quality, and is an excellent choice for the price. It also looks really good if you are going to be on camera. It is not overwhelming in size, but seems just right. 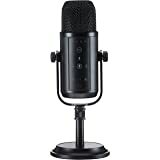 I you are picky about sound, but don't want to spend too much, this mic is a great one to consider. 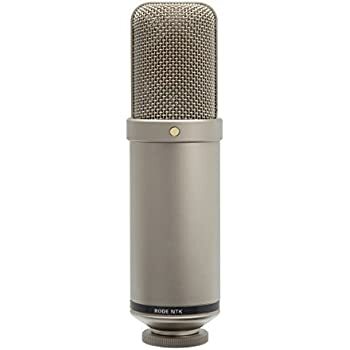 I have had probably a dozen microphones m microphones with a range of cost from $500 to $1,000 and this TLM 102 is noticeably better than all of them. Pair it with an Apollo Twin interface/preamp, and you will have very clean and powerful vocal recordings without any mixing added.